Jeffrey Lee Campbell, originally from North Carolina, is a guitarist, composer, and producer. He has been a professional musician for over forty years—thirty and counting in New York City. In addition to touring the world with Sting, he’s performed with artists including Sammy Davis Jr., Aretha Franklin, Michael Bublé, and Jon Bon Jovi. A grateful journeyman, Jeffrey has played guitar on countless recordings, jingles, and Broadway shows. A small-town musician from North Carolina tries his luck on the biggest stage of all: New York City. And he hits the jackpot. Mere months into his NYC gambit, guitarist Jeffrey Lee Campbell is catapulted from selling candy in Broadway theaters to touring the world with rock legend Sting. Go behind the scenes with the provincial, wide-eyed rookie as he fakes his way around the globe, shoulder-to-shoulder with his longtime musical hero. Do Stand So Close is a layered, coming-of-age memoir, recounting Jeffrey Lee Campbell’s glamorous (and grueling) twenty-five country, six-continent trial by fire on Sting’s “Nothing Like The Sun” World Tour. 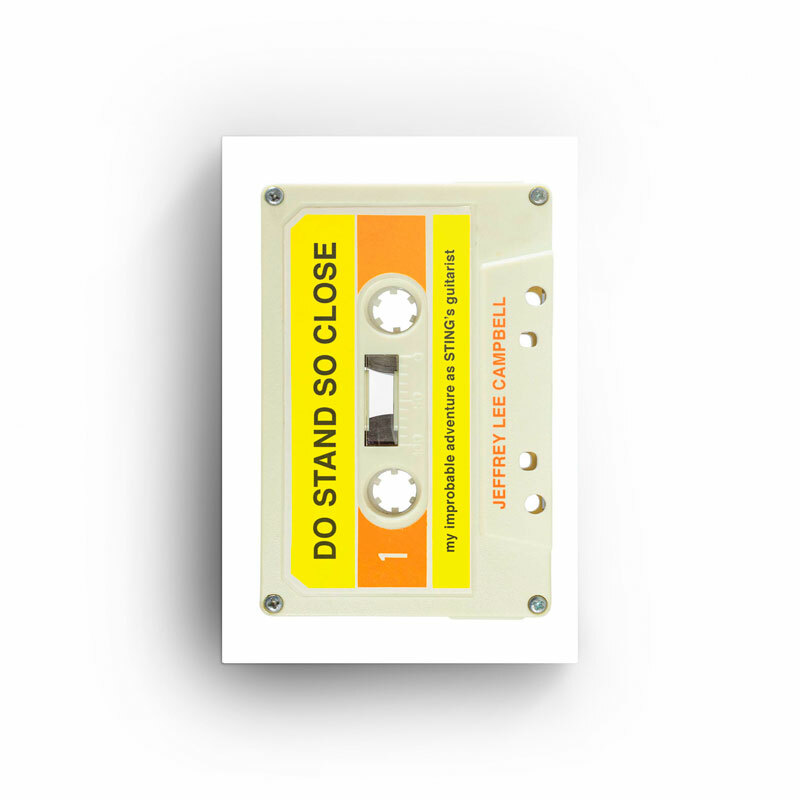 Filled with humorous anecdotes and poignant revelations, Do Stand So Close follows Jeffrey’s amazing odyssey—from relocating to NYC and miraculously landing the high-profile gig, to life on the road with one of the planet’s biggest rock stars, to his humbling crash-and-burn after the tour. Buckle up!